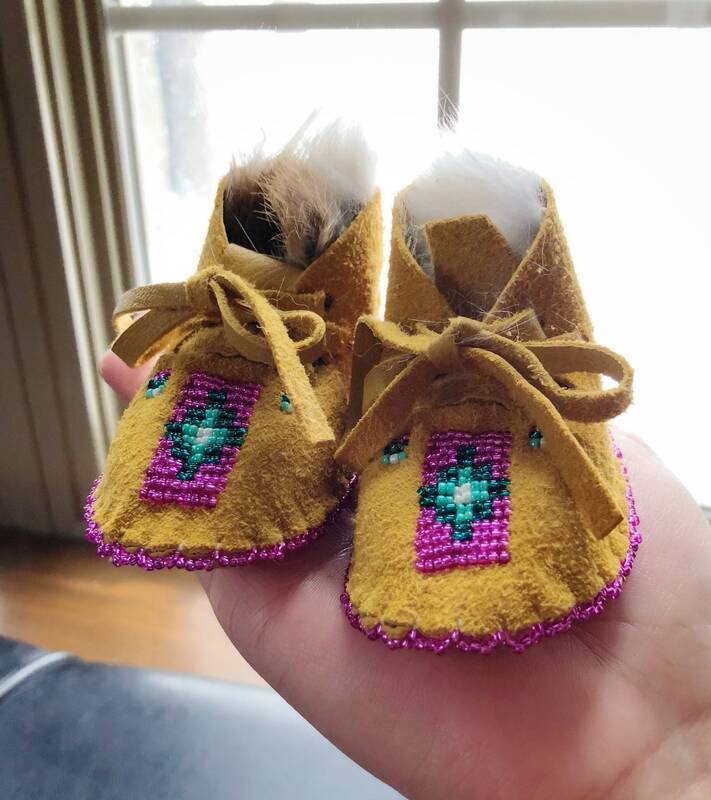 Authentic Native American baby moccasins. 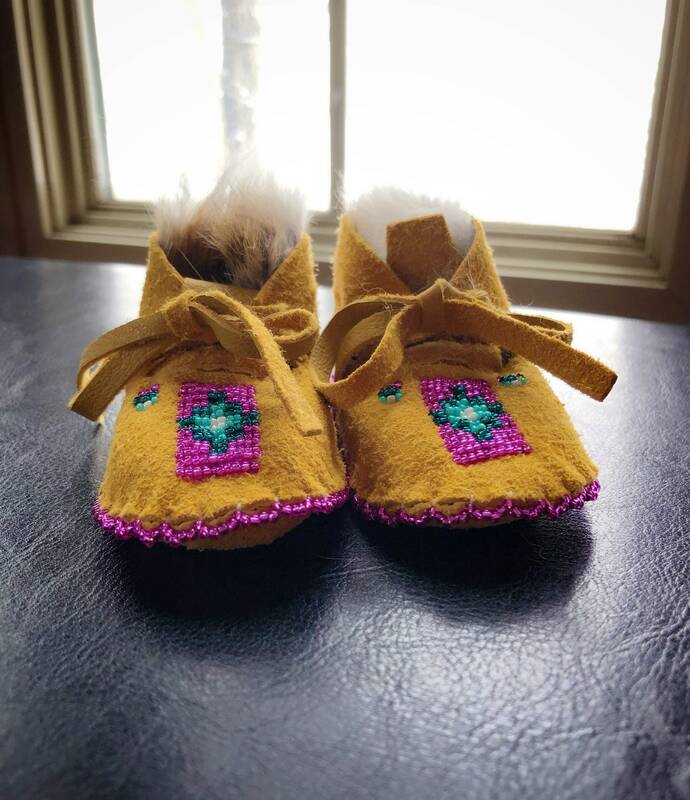 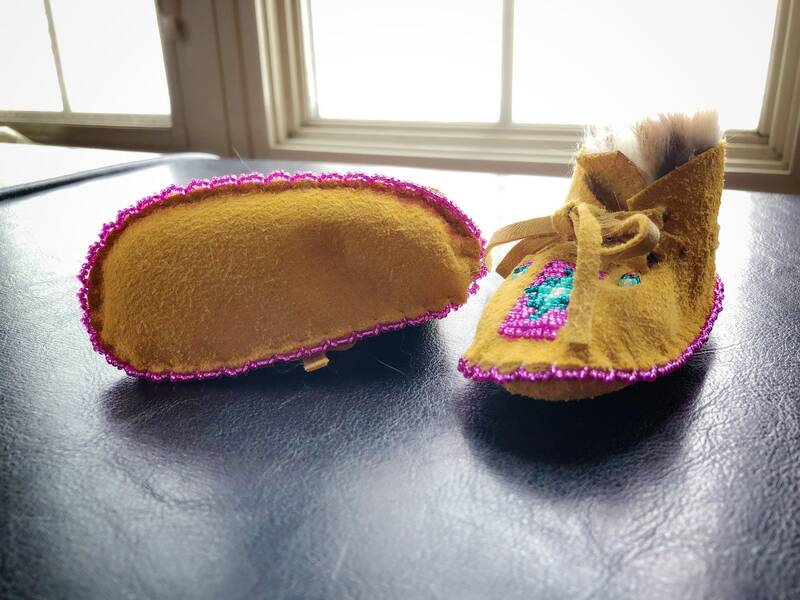 These moccasins are made from super soft buckskin, have beadwork along the top, around the soles, and up the back, removable rabbit fur insoles. 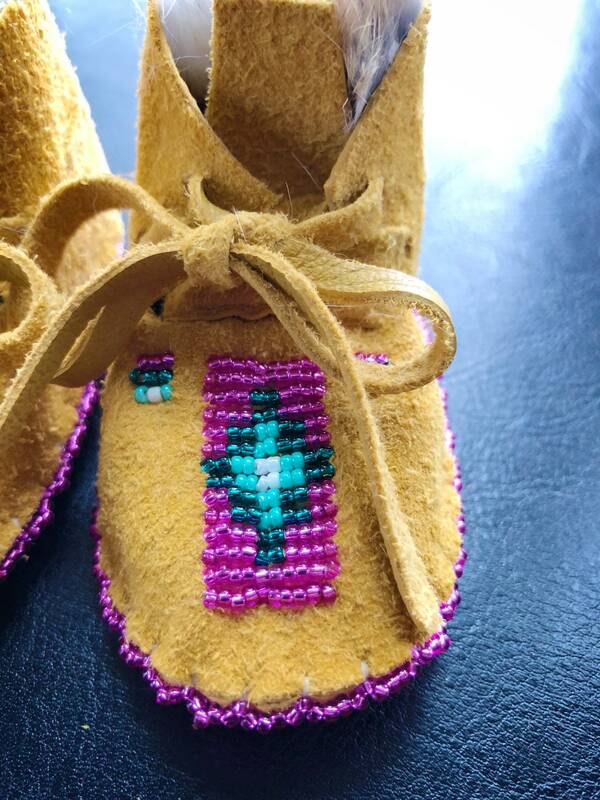 Moccasins are approximately 4” long by 2” wide. 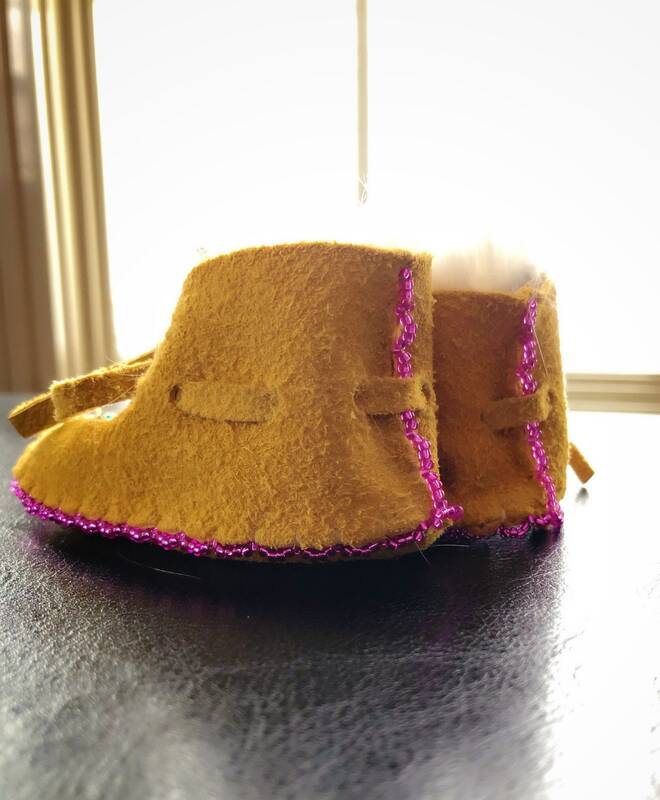 Can fit a range of sizes as the fur left inside can fit a smaller foot, take the fur out and you get more space.